Every now and then, a bike appears out of left field and seems to pop up everywhere. 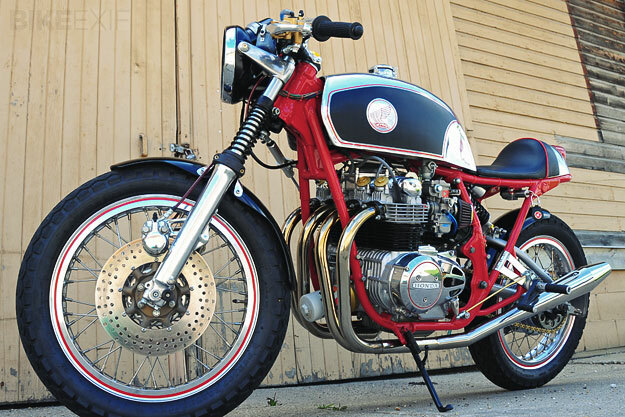 This CB550 is one of those bikes: it created a buzz on the SOHC Forum and then won its category at the Rockerbox bike show. Now it’s about to go on show in the lobby of the Iron Horse Hotel, in Harley-Davidson’s Milwaukee heartland. 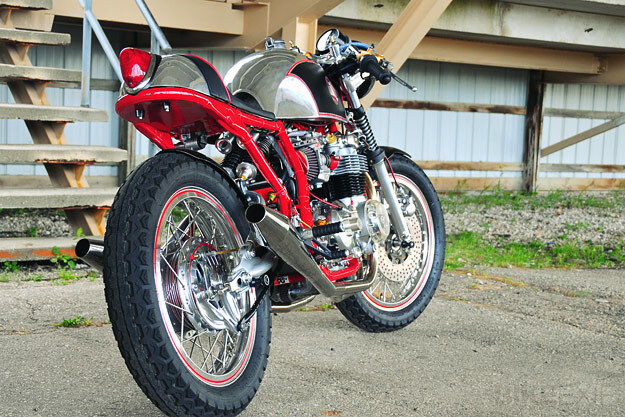 This cafe racer was built by Jeff Stephens, who operates out of Burlington, WI, as Godffery’s Garage. 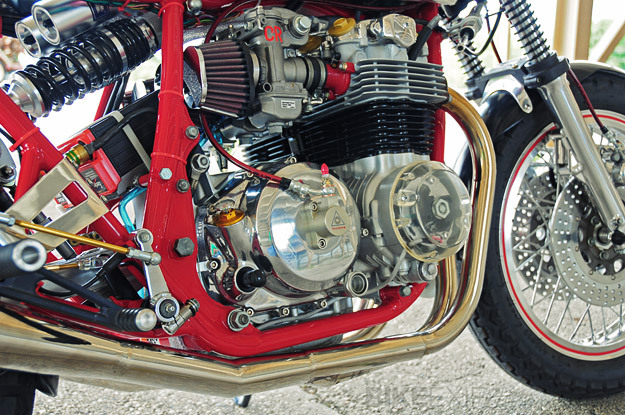 “I’ve been at it full time now for about ten years, but have been building bikes most of my life,” he says. Stephens built this bike to order for a customer, Richard Cosby, and it’s full of quality parts, including a Dyna S ignition and Keihin CR carburetion. Breathing is through a K&N air filter with a built-in velocity stack. Frame Crafters created the rear suspension loop and modified the frame, while Benjie’s Café Racers made the tank, seat and exhaust to Jeff’s specs. 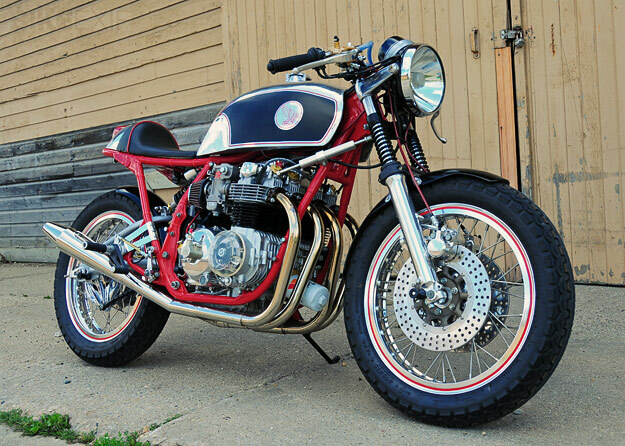 Head over to Vinmoto to see the entire build catalogued in pictures. Thanks to Brad Bartkus. Images by Jeff Burns.